It's time for some songbooks! Check out these brand-new Songs of Ark volumes that are now restocking at the Leila Library. This Creature Release Week 2019 species is available for writing in the Creature Description Writing Contest. The winner will receive the first of its kind. Creature Release Week returns on January 14. Does anyone want to guess what this year's theme will be? 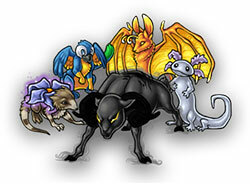 We recently announced that we'd begin releasing trinkets for popular Egg Cave creatures instead of just for monthlies. We hope that you enjoy this change and can benefit. This month, we have brand new sets of Trinket Travels for the Kujak, Mo, Yazan, and Maser! They're restocking now and are available. The Potion of Rebirth wasn't resetting "hatched at" and "immortal at" dates when used. These dates are now automatically cleared when the potion is used. Players who have used the Potion of Rebirth in the past don't have anything to worry about. These dates will and are updated when the reborn creature reaches its new hatch and immortal dates. It's just that they should be cleared from the start and now are. We're proud to announce that, thanks to our amazing players who have submitted their ideas in the Fan Art & Creature Suggestions forum, all of February 2019's creatures that will be released will be user suggestions. February's have already been chosen. You can begin submitting your March (St Patrick's Day) suggestions now. We're watching the forum! Thanks again to our lovely players! These musical Cash Shop Travels have arrived to the Cash Shop for a limited time! This music will take you to another place. Happy New Year from all of us at Team Egg Cave! These New Years Travels are now restocking at the Travel Agency! Find yours there today. This month's random theme is MUSIC! Both the creatures and items that'll be released this month will be music-themed. We hope that you enjoy this unique style. The wings of the Volpe are full of musical notes... we wonder what the song would sound like if it were played. The Faunan plays the piccolo! Find these at the Cash Shop. The Pekva sings a beautiful song and the Harpette is a harpy that... well... plays a harp! Find these in the Cave for the month of January. Our annual Creature Release Week event returns later this month. We can't wait to show you what we have in store. Stay tuned for more updates! We will no longer be releasing Trinket Travels for the brand-new monthlies. Instead, we will be releasing more Trinket Travels for already-existing Egg Cave species throughout the year. We hope you enjoy this upcoming change. Your favorite species deserve their own Trinkets, too! Congratulations to @laxerna and @ellabug and @battle-anubis, the winners of drawing 2 for December 2018's Cash Shop Creature Lottery! A Xetimas has been added to each of your accounts. Buy your tickets for the next drawing now! Happy New Years Eve! We hope that you all have thoroughly enjoyed this holiday season at Egg Cave. We're ready to ring in another year at Egg Cave which will bring more creatures and fun activities that we think you'll love. To everyone who has enjoyed this game in the last year: thank you for playing. We love you! You're what makes this game great. It's the last day to obtain a prize from the Toy Drive. It will return again in 2019! It's the last day to visit the Advent Tree! This is the last day to obtain any of December 2018's monthlies from either the Cash Shop or Cave. Today is the last day you can buy any of 2018's Cash Shop Monthlies from the Cash Shop. In 2019, we will no longer be creating and releasing "Monthly Trinkets" for the limited-edition monthly creatures. Instead, we will begin releasing Trinket Travels that are for Egg Cave's already existing and most popular creatures. It'll be the same number of new trinkets per month but just for different types of species that have already been around for a while. Creatures that have already been around need some love. We'll be here with brand-new updates right at the start of the New Year. Stay tuned! See you then. Merry Christmas and happy holidays to all of our players! The Advent Tree is giving out a very special gift today. You won't want to miss it. As a reminder, please do not visit the Advent Tree from side accounts. 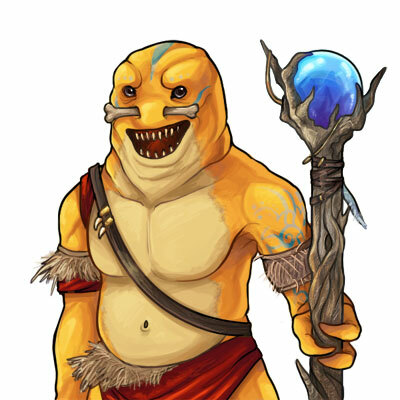 Welcome to Ark, the Polober! Many thanks to @prairie for suggesting this creature (yet another one!). Can you lick through them all in one sitting? Find these restocking at the General Food Store. Thankfully, the ice cream isn't entirely trapped inside of a snow globe. The top is open! Finley's Flavors has them. These books contain some HEAVY material! String theory? Quantum mechanics? Check. Find them at the Leila Library. We can hardly wait to open our presents here. How about you? The Travel Agency wishes you a very happy holiday season this year! Find these new items restocking there. Egg Cave is run by real people just like you. Please allow us some extra time to reply to your tickets through New Years Day. We're spending time with our family and friends, just like you, as well. Thanks for your understanding! Enjoy the holiday.